Dundee is the city of comics – The Comicsopolis! Join Professor Christopher Murray and his colleagues on Thursday 18th October 2018 5-7pm at DCCS to discuss the surprising history of comics in Dundee, and learn about the future of comics in Dundee, with a look at the new comics being produced by the University. 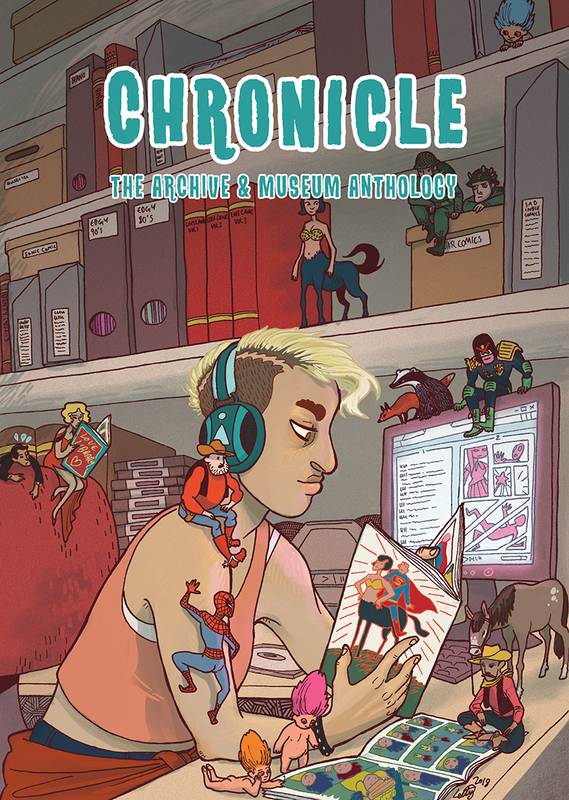 These include Chronicle, a comic conceived and edited by PhD student Hailey Austin in conjunction with the University of Dundee’s Archive and Museum Services which explores the University’s collection of comics related archival holdings and original artwork. Chris Murray will be launching Superhuman Futures, a science fiction superhero comic that examines the superhuman as a metaphor for scientific advancement. Created for the Humanities module Human Futures, it demonstrates the innovative link between research, creative work and teaching that is being developed at the University of Dundee. Hailey and Chris will each give a brief presentation on the fascinating process of creating their comics. Join us in the Dundee Creative Comics Space in the Vision Building, where we will have free comics, an exhibition, and a wine reception! Under 18s to be accompanied by an adult. This event is free but must be booked in advance. More details here. Posted on October 17, 2018 October 18, 2018 by dundeecomicscsPosted in comics, EventsTagged chronicle, comics, comicsopolis, dundee, festival, festival of the future, fred egg comics, history, university.